Aaah the luck o’ the Irish! Even if you are not of Irish descent, chances are everyone in the good ol’ US of A will be partaking in some sort of festivities on St. Patrick’s Day. 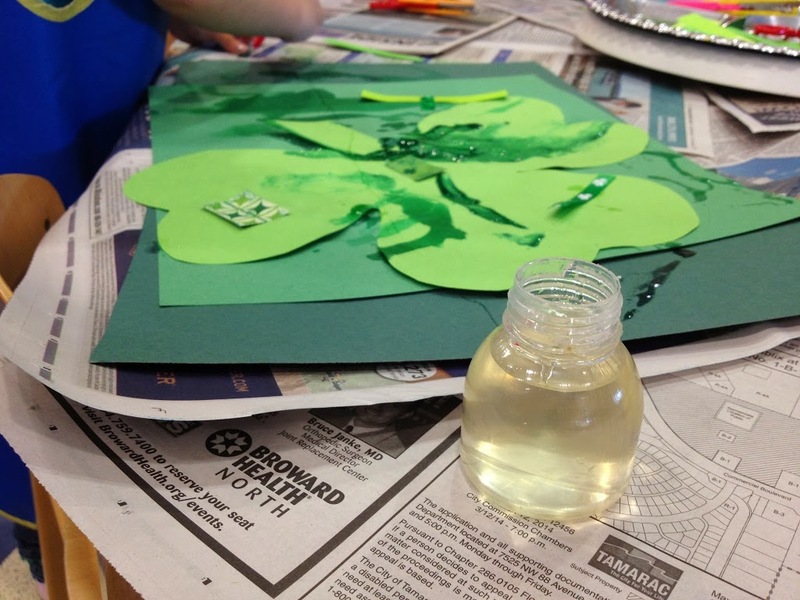 We had a little green fun of our own today in art class, the theme was “Shades of Green” of course! 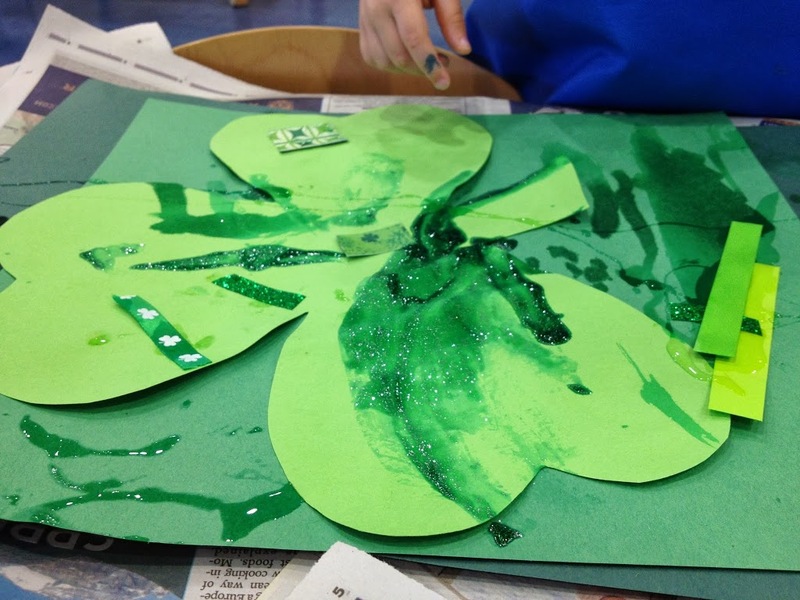 So if you decide to create some fun St. Patrick’s Day art projects, here’s what we did in Miss Jo’s Art Explosion class at NOVA Southeastern’s Parenting Place today. 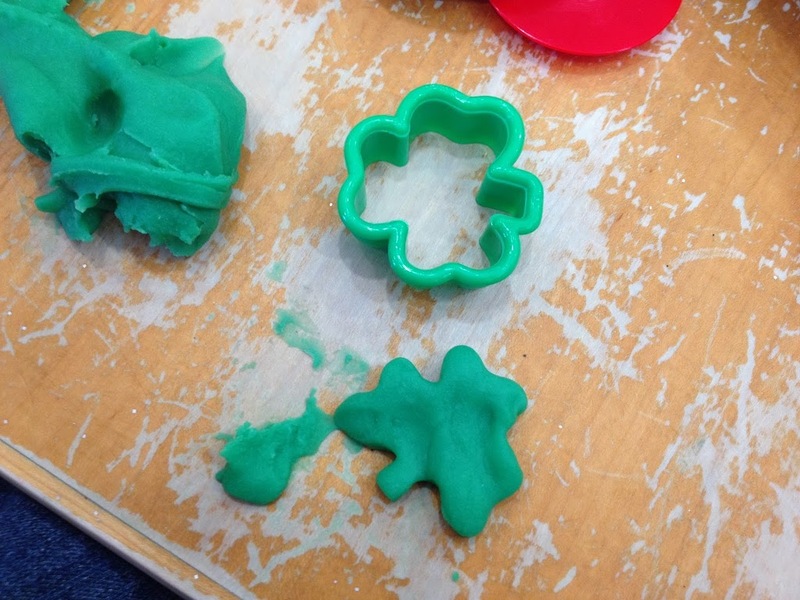 Why not make some green play doh and set out some shamrock cookie cutters? 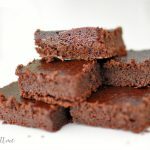 Here’s the recipe we like. Today’s was kelly green of course, and peppermint scented. Yum! We paint at home almost everyday but I hadn’t taught mixing colors yet. Today the kids had a plethora of shades they could create. 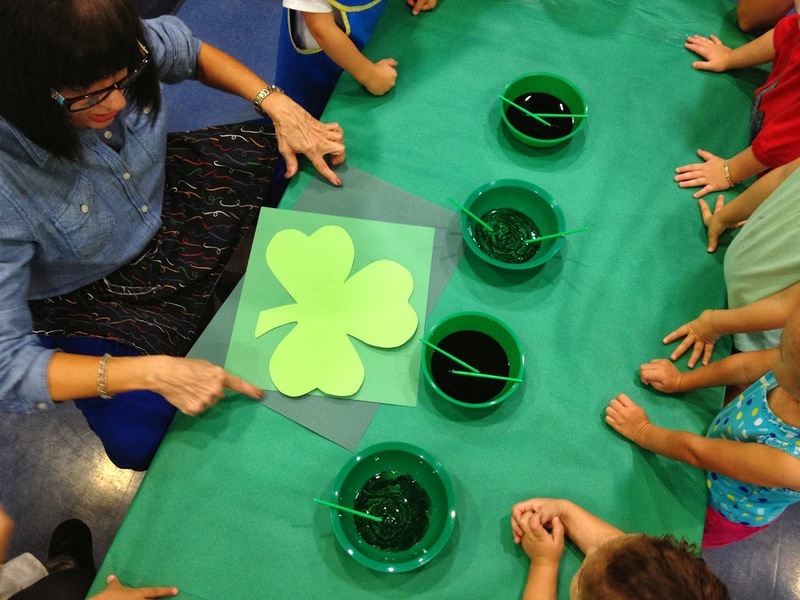 They started by putting green paint in a plastic cup with a spoon. Then they were asked to either make it lighter or darker with white or brown, and if they wanted a different shade they could add yellow. Emy loved mixing, more than the actual painting! But of course painting and creating is fun too! 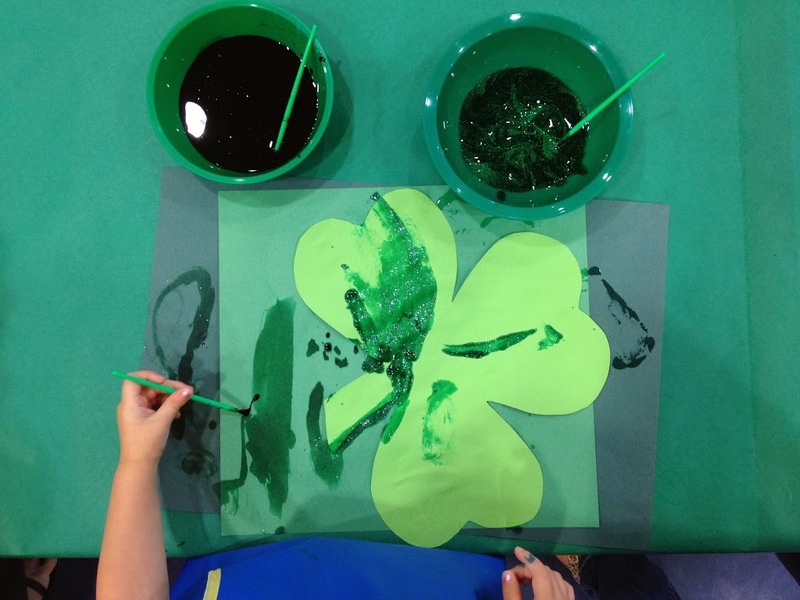 At another station the children were asked to take a large sheet of paper, a medium sheet, and a precut shamrock, and glue them together. 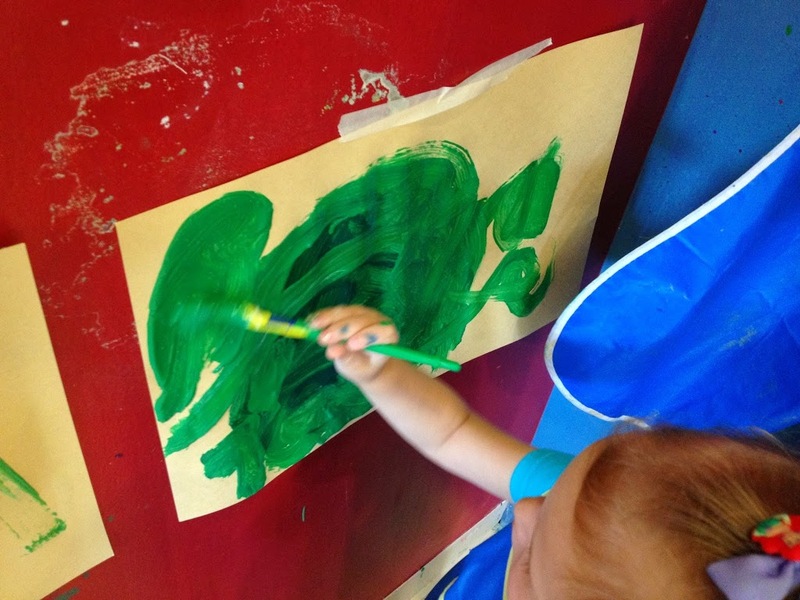 After they were assembled they were asked to paint it with sparkly green paint, or watercolor green. 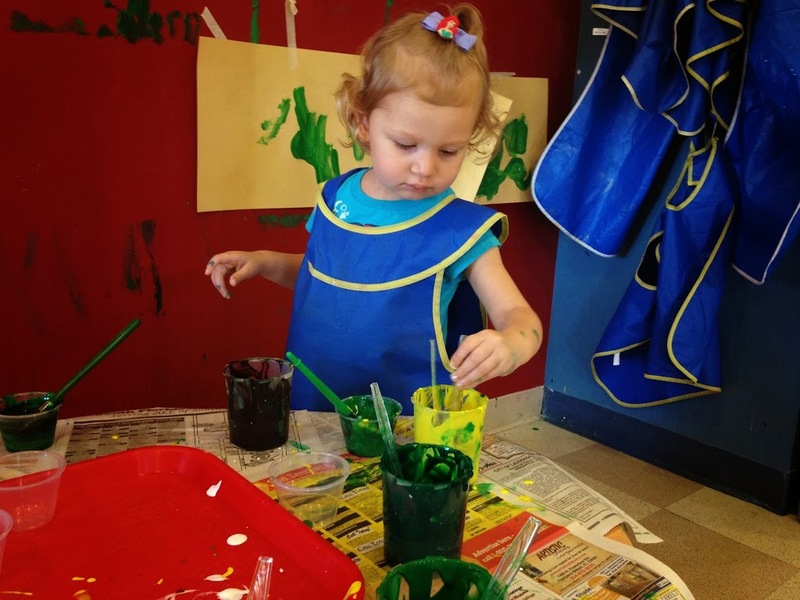 Emylia enjoyed both textures of paint! Next was collage time. 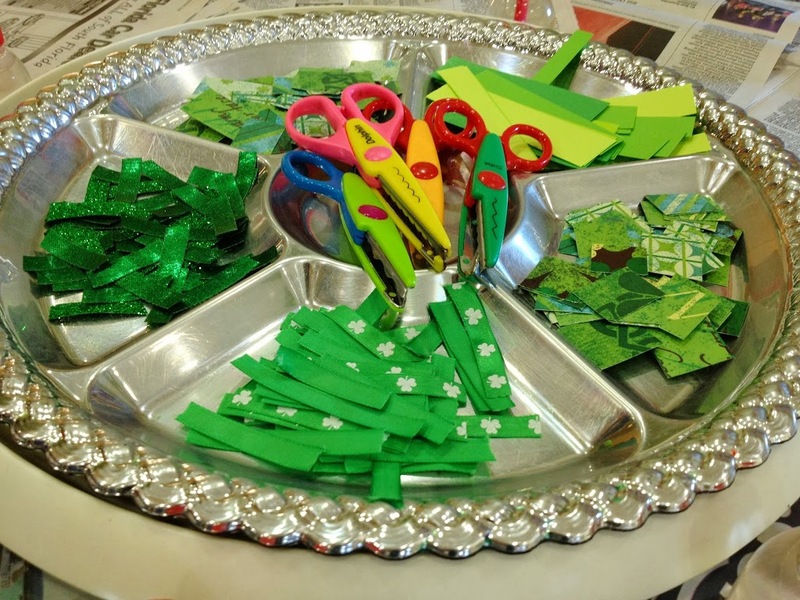 Today they had textured scissors, and lots of materials to choose from…. 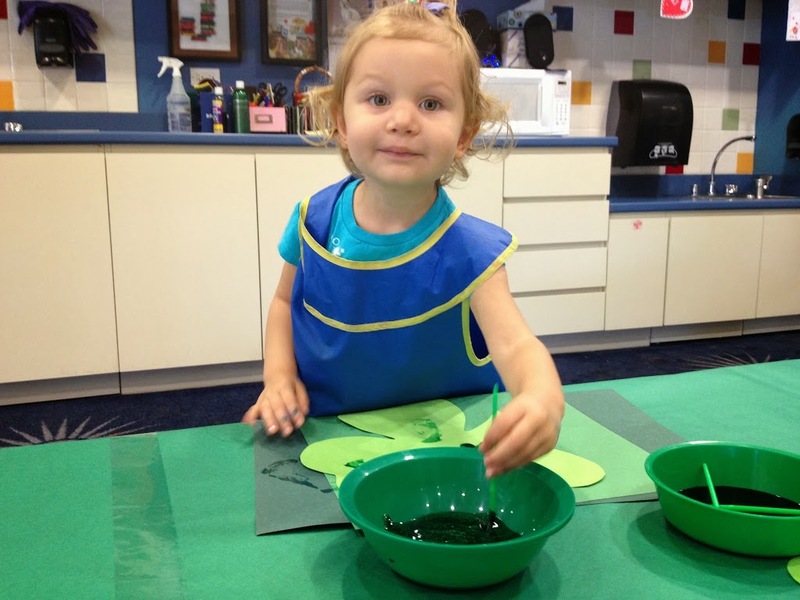 She loved these little jars with paint brushes to apply the ribbon and paper to her collage. Here’s her finished work! There were lots of new words and concepts introduced to the two-year-olds today; light and dark, large and small, rough and smooth, and of course new scents and textures. Feel free to pin this for later! FOR MORE GREAT CRAFT IDEAS PLEASE FOLLOW ALONG ON FACEBOOK HERE! AND DON’T FORGET TO CLICK BELOW! Her shamrock is beautiful! You may have even inspired me to let my kids paint! Do it Sarah…don’t be scared! They need to get their hands and bodies dirty…just throw them in the tub afterwards. Plus watercolor isn’t messy at all! Great ideas!!! Thank you for sharing! So cute! I love the vocabulary you tied into the crafts. These little ones are adorable! 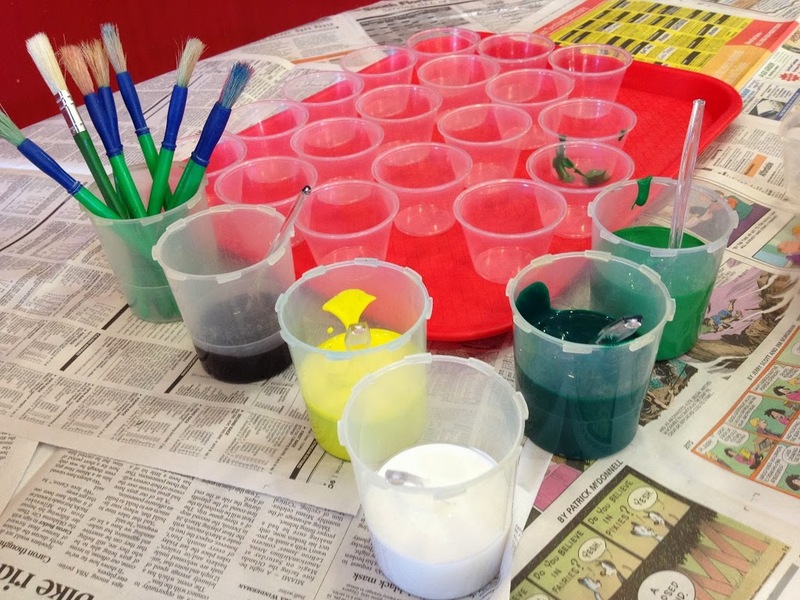 Looks like great messy fun! I love the idea of the little strips of ribbon, they really liven up the masterpiece. Thanks! I just love that it’s not my house I’m cleaning up afterwards! So cute! I love all of the concepts introduced, and how fun is the finished product?! 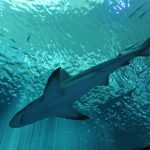 Pinning – maybe I will get around to this next year! Mixing colors is very exciting for my children in any different ages. They like cluttering and having experiment in doing so. 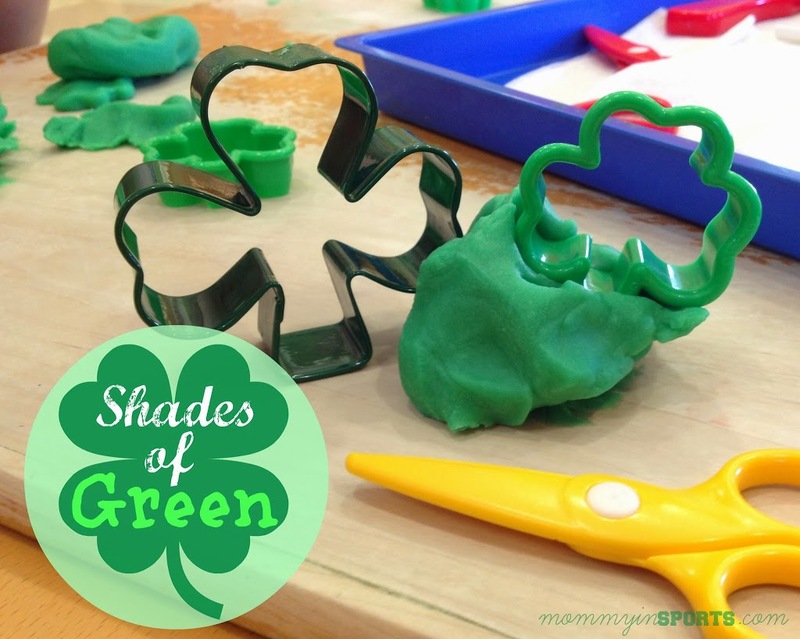 It is great to use the thematic green as a chance to get kids use mixing colors techniques. Thank you for linking up in Pintastic Pinteresting Party. Nothing I loved more when my kids were little to let them get messy with a project here and there! 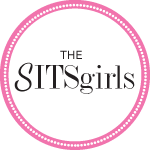 Thank you so much for sharing on VMG’s Brag About It link party!